"Let your fiction grow out of the land beneath your feet." 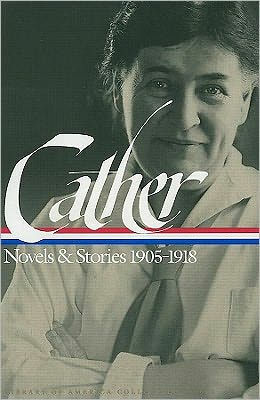 Cather's remark describes her own powerfully imaginative recreation of the Nebraska frontier of her youth. The vast Great Plains, where the earth has only recently come beneath the plow and the sky is huge and open, mirrors the uniquely American ethic of her characters: their heroic aspirations and stoicism, their passion for creativity, their rebelliousness of spirit. Here in one authoritative volume are Willa Cather's essential masterpieces: the story collection The Troll Garden, along with the beloved novels O Pioneers!, The Song of the Lark, and My Ántonia.